We are in the process of moving our blog from Blogger to Worpress. 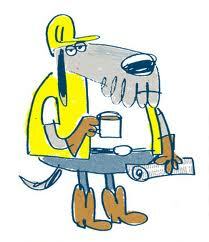 Construction dog is working hard & my mom person is trying to remain calm. This is a big switch. We would love for you to follow us with NetworkedBlogs if your on Facebook. The widget is there in the sidebar. You can also subscribe to get e-mail updates. If you want to keep seeing my blog updates in your Blogger Dashboard follow the directions below, it’s really easy I promise. 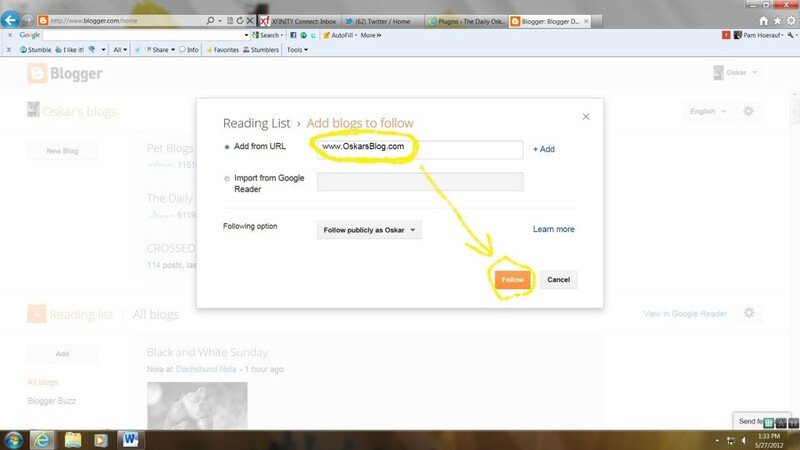 On your Blogger Dashboard, click the grey ADD button. You’ll see a window pop up that looks like this. 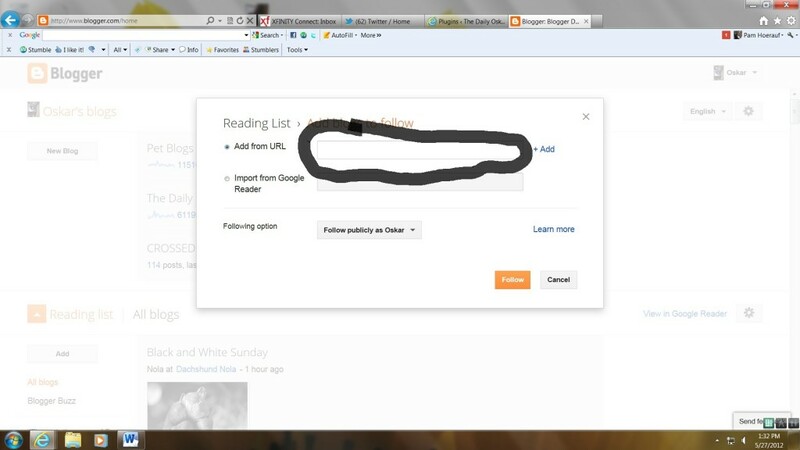 In the box I circled, type in www.OskarsBlog.com and then click the orange follow button. That’s all there is to it. 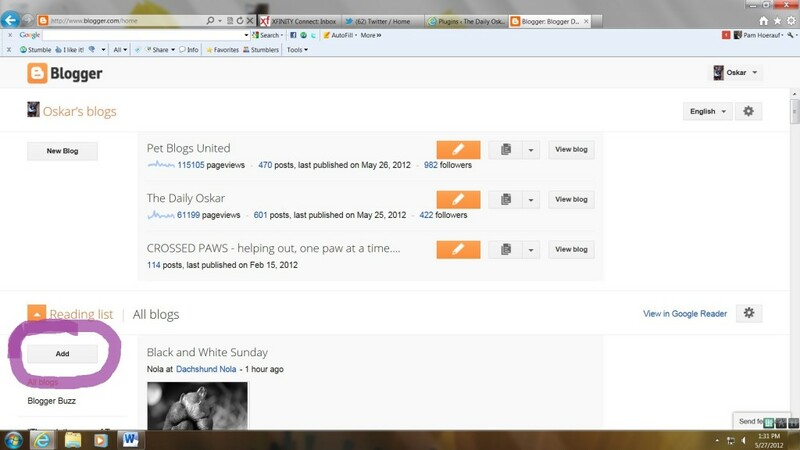 Now anytime I update my blog it will show up on your Blogger Dashboard. I love all of my blogging friends and hope that you will follow me to my new WordPress home!